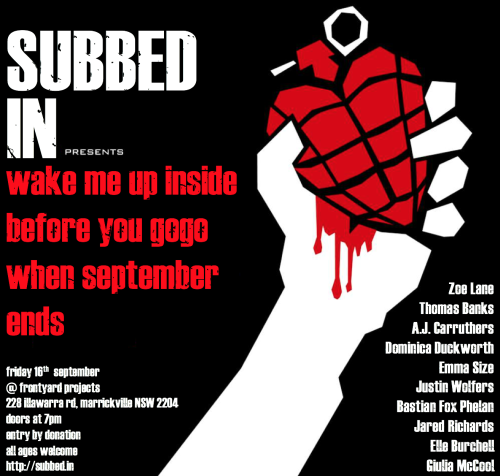 weâ€™re v excited to announce the line up for Subbed in: wake me up inside before you gogo when september ends! the event is happening at Frontyard Projects in Marrickville. check them out!